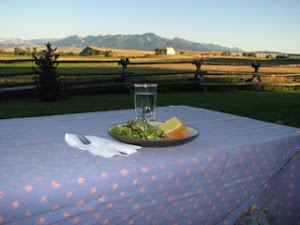 Food is part of culture and will be connected to its surroundings. While some things have a constant meaning in all cultures (drinking blood and disregard of life, Gen. 9:3-6), other things receive meaning by local culture and common usage. A good representative of this would be the food offered to idols in 1 Corinthians 8. The food there wasn't inherently sinful, even the idols were nothing, but because some "eat food as really offered to an idol" (1 Cor. 8:7) it has a meaning that Christians ought to beware of. What a blessing it is to find other like minded bloggers! We have a website on the same topic as you, what a providence. 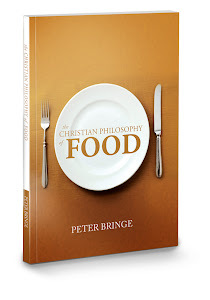 Actually, we've decided to post a giveaway on our site for you new book; The Christian Philosophy of Food....hope you don't mind! Have you heard about the up and coming Reformation of Food and Family Conference (http://www.visionforumministries.org/events/food/) that Vision Forum Ministries is holding this year? It will be addressing many of the topics you present in your book. Thought might be interested if you did not yet know about it! Hannah and Esther from "The Theology of Food"
Yes, I had actually already found your blog (through my friend Ben Serven) and read it occasionally. And no, I don't mind a giveaway. Thank you! Yes, I have heard of the conference (for over a year). In fact, I talked to the Phillips over the weekend at the Family Economics Conference (http://familyeconomics2012.com/). It sounds like it will be a great conference.